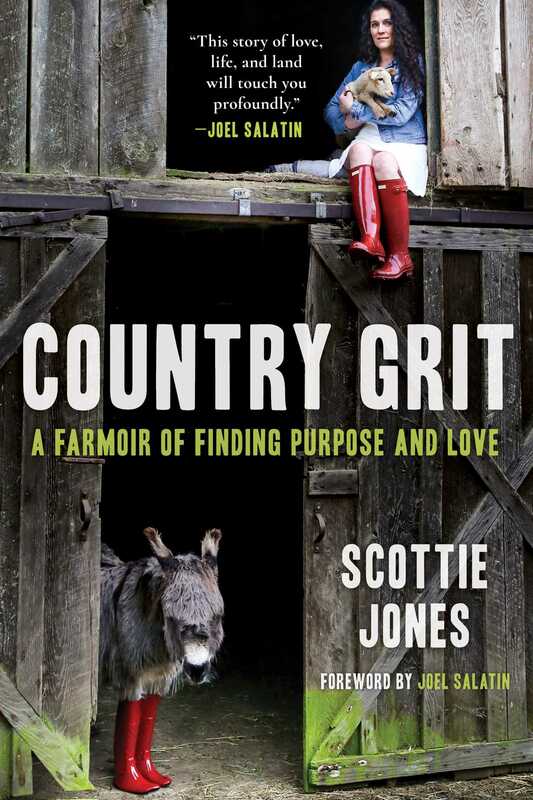 In a world increasingly filled with questions of where our food comes from and dissatisfactions about our modern lives, Country Grit is a story that will resonate with countless people itching to get back to the land. Told with humor and hard-earned wisdom, it is also an account of what small-scale farmers across the country experience every day. Scottie Jones lived a typical suburban, professional life in Phoenix until her husband, Greg, got into a near-fatal car accident. While recovering, he became convinced that they needed a change to a simpler way of life, more connected with nature and each other. So, driven by a desire to cut ties with a material and convenient suburban life that had left them feeling empty, they bought a peaceful-looking farmhouse on sixty acres in Oregon and said good-bye to everything they knew. But the road to pastoral bliss is fraught with hardship, mishap, and financial risk. When the burden becomes almost too much, Scottie hits on the idea of creating a Farm Stay, where people could visit and learn about Leaping Lamb Farm. The Farm Stay becomes the niche that rescues them from foreclosure. Having found a sense of purpose and a sense of place, the couple now had the means to sustain it. This edition includes a new foreword by Joel Salatin.